St. Baldrick’s Fellow Dr. Elliot Stieglitz is a big reader, but not in the way that you might think. Over three years, he read the DNA of one hundred children with JMML, a rare leukemia, and he discovered something major. 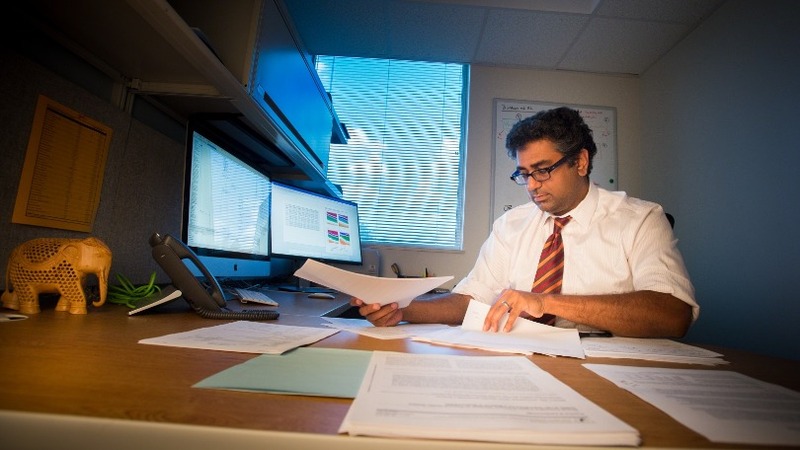 Read on to learn how his discovery could lead to better treatments for kids with this rare disease. 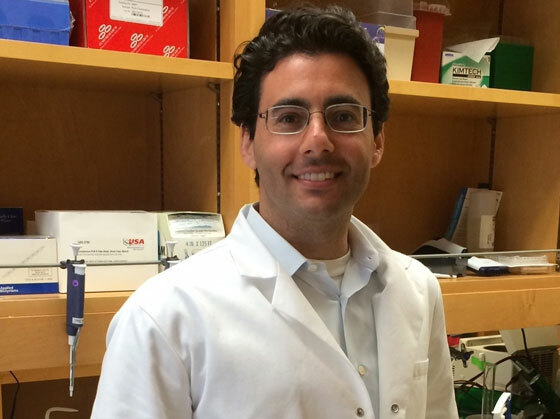 RESEARCH DEVELOPMENT: Dr. Elliot Stieglitz has brought his St. Baldrick’s-funded research to a Phase 2 clinical trial for kids with relapsed JMML. 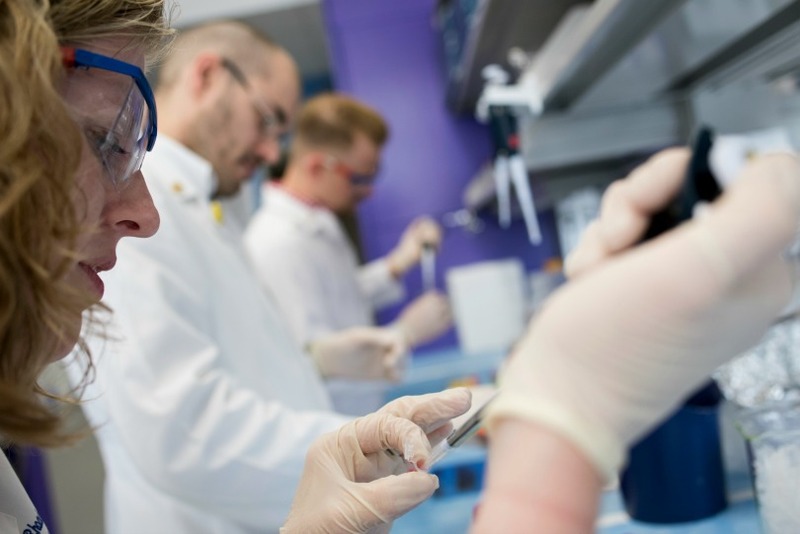 In this trial, which is first of its kind in the United States, researchers will be testing whether an oral targeted medication used in the treatment of melanoma in adults slows or even kills leukemia cells in kids with persistent JMML. In addition, Dr. Stieglitz developed a test that predicts which JMML patients have the best prognosis and therefore need less intense therapy. He’s now in the process of establishing a clinical test that will eventually be available to patients. This test will help kids get just the treatment they need and avoid damaging long-term effects from harsh therapies. Keep up the great work, Dr. Stieglitz! 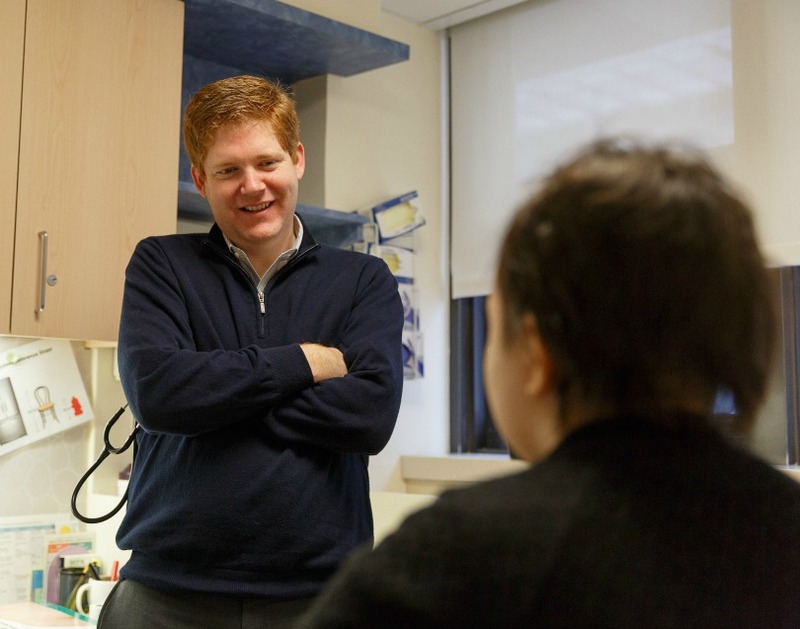 For St. Baldrick’s Fellow Dr. Elliot Stieglitz, being a pediatric oncologist is the perfect blend of emotional satisfaction and intellectual stimulation. His heart is with the kids and their families, guiding them through the toughest time in their lives. His head is in the lab, trying to find better treatments for childhood cancer. Where is our very first St. Baldrick’s Fellow now? Still in the lab, that’s where! Meet Dr. Sharon Singh, the physician-scientist who was given the inaugural St. Baldrick’s Fellow Award in 2005. What does that monetary vote of confidence do for a new researcher and for the childhood cancer research field? It’s been 12 years and the results are in – read on to find out. 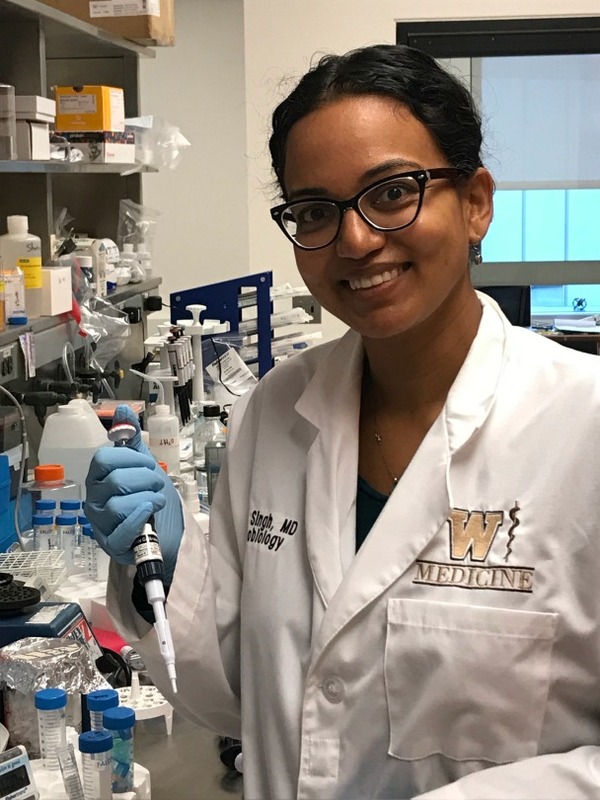 Dr. Sharon Singh currently works as a clinician, researcher and assistant professor with the Western Michigan University Homer Stryker M.D. School of Medicine. At the heart of it, Dr. Sharon Singh is a problem solver and for the last decade, the pediatric hematologist-oncologist has been working on the problem of childhood cancer. But she knows that the big problem of kids’ cancer can’t be solved only at the bedside of a patient – problem solvers like her need to be in the lab too. And that is exactly what Dr. Singh is doing, thanks to a St. Baldrick’s grant given more than 10 years ago. When St. Baldrick’s Fellow Dr. Adam Green learned about high-grade gliomas and met kids diagnosed with the brain tumors, he knew he had to help. And today he’s doing just that. Read on for more about Dr. Green, his exciting research, and how St. Baldrick’s helped him make it happen. 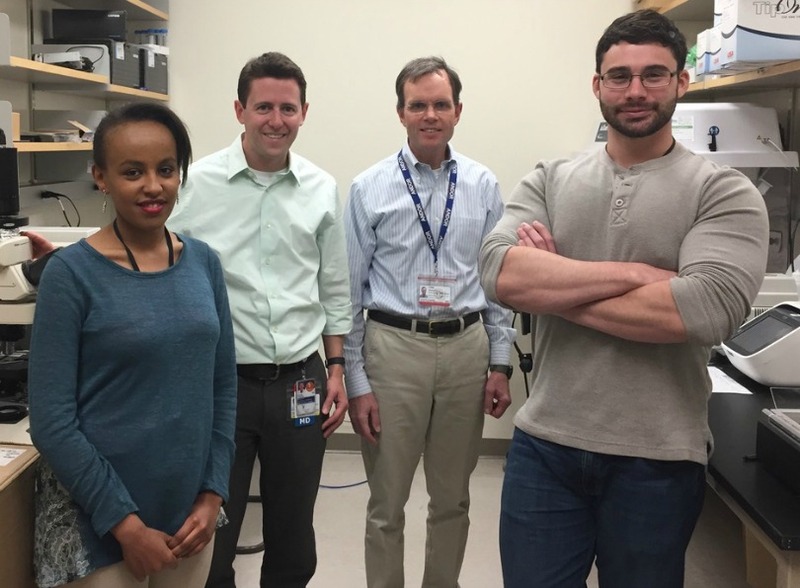 Dr. Adam Green in his lab at the University of Colorado with his lab members, from left to right: Rakeb Lemma, Dr. Green, John DeSisto and Patrick Flannery. Dr. Green’s research is funded in part by the Luke’s Army Pediatric Cancer Research Fund, a St. Baldrick’s Hero Fund created in memory of Luke Ungerer, a little boy who died of brain cancer. Dr. Adam Green distinctly remembers the first time he gave a family the news that their child had an aggressive, fatal brain tumor. It was an experience that’s hard to forget. 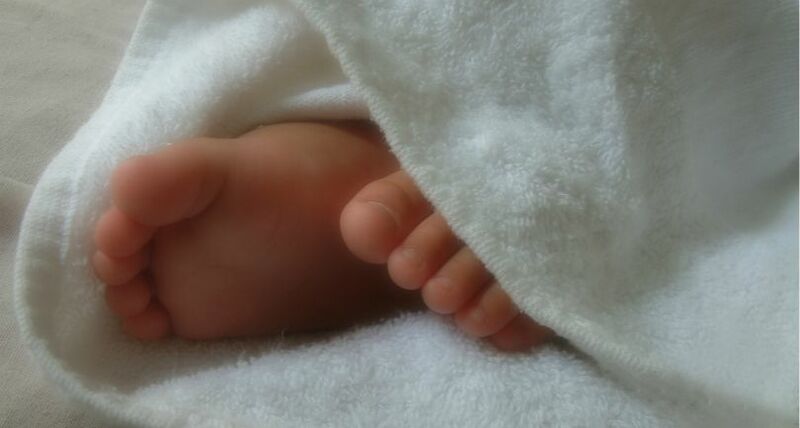 Kids are special, and that’s why they need treatments made just for them. St. Baldrick’s Fellow Dr. Heather Schuback agrees. She’s looking at the very building blocks of acute myeloid leukemia cells to spot differences that could help kids get the targeted therapy they need. St. Baldrick’s Fellow Dr. Heather Schuback works in the lab at Fred Hutchinson Cancer Research Center in Seattle, Washington. Kids are not just little adults, says St. Baldrick’s Fellow Dr. Heather Schuback. That means their cancers aren’t just smaller, younger versions of adult cancers. They are fundamentally different. Dr. Schuback should know. Her St. Baldrick’s-funded research is looking at how changes in the DNA of tumor cells can predict who will do well during treatment and who won’t. This information could help doctors tailor therapies from the start, getting kids just the right amount of treatment to kill the cancer, while limiting late-effects. But these differences aren’t limited to which kids will respond well to treatment and which won’t. It’s bigger than that. 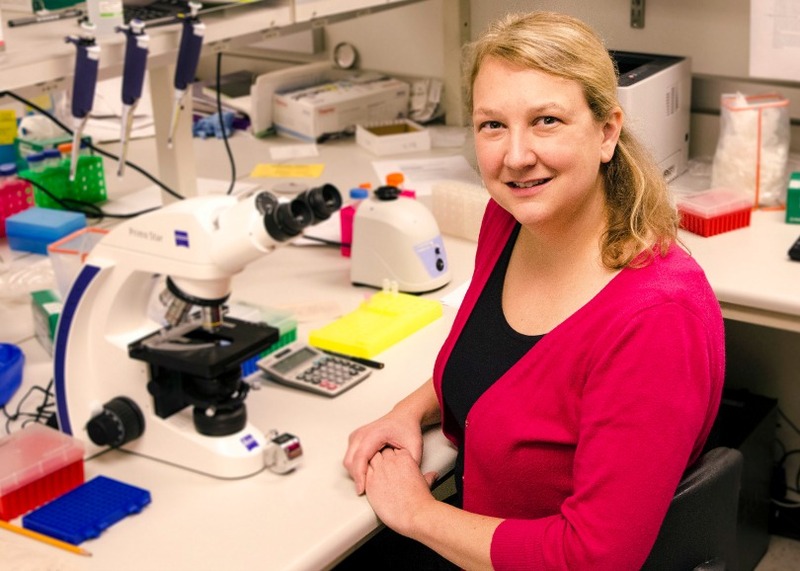 St. Baldrick’s Fellow Dr. Wendy Rhoades has developed a new tool that could save lives — a blood test that can detect whether a patient has bone cancer. Read on for more about her incredible work and how it could help kids with cancer. Dr. Wendy Rhoades works in the lab at Texas Children’s Hospital. What if a simple blood test could detect childhood cancer? That’s exactly what Dr. Wendy Rhoades is looking into with her St. Baldrick’s-funded research. Kids are special, and childhood cancers are different than adult cancers. That’s why we’re funding research to find new therapies and cures just for kids. 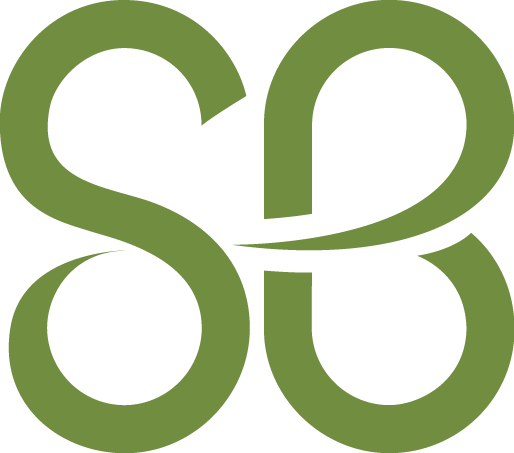 St. Baldrick’s Chief Philanthropy Officer, Becky Weaver, explains how a timely email led to a big realization. Join us and make a difference for kids with cancer. See ways to get involved. November marked my 10th year with the St. Baldrick’s Foundation. And how much has changed since that time! Back then, we were excited to give over $3 million to support one large grant to the Children’s Oncology Group and our first St. Baldrick’s Fellow, Dr. Sharon Singh.